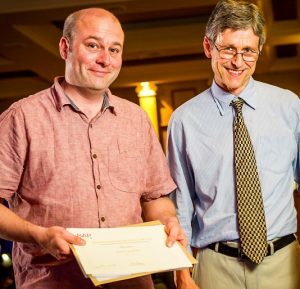 Consultant psychiatrist and Oxford University researcher Dr Michael Browning has been recognised for his scientific work at the recent British Association of Psychopharmacology Awards. 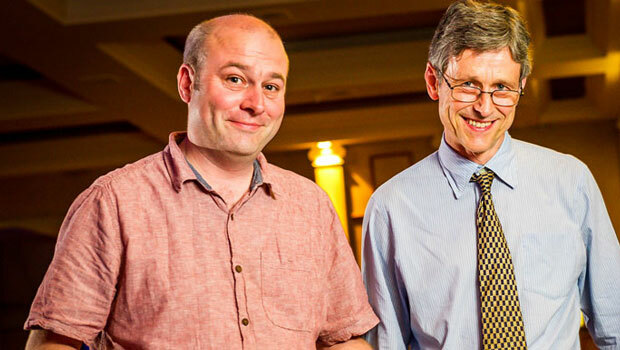 Consultant psychiatrist and Oxford University researcher Dr Michael Browning (pictured left), has been recognised for his scientific work at the recent British Association of Psychopharmacology (BAP) Awards. At the summer BAP conference in Brighton between 17-20 July, Dr Browning won the prestigious Senior Clinical BAP Psychopharmacology Award. Find out more about Depression and Anxiety from the Oxford Health NHS Foundation Trust Research pages. Find out more about Dr Michael Browning and the British Association of Psychopharmacology. Read about the awards in the Oxford Mail.